After deciding to stop accepting plastic bags for recycling, the Monroe County Solid Waste Management District will purchase 30,000 reusable shopping bags to give out for free. The cost: $25,000. The goal behind the bag giveaway is to reduce public dependency on plastic bags and to educate the public about the negative effect plastic bags have on the environment, said Tom McGlasson Jr., executive director of the solid waste management district. 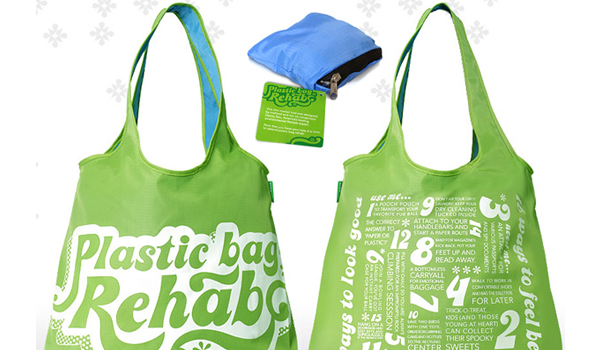 Replacing plastic bags with reusable bags would also mean fewer plastic bags in the community. Julie Thomas, a Monroe County commissioner and a board member for the waste district, said the bags are meant to encourage residents to change their habits. She said the new bags would likely come with some information on alternatives to plastic. Last month, the district stopped accepting plastic shopping bags, trash bags, shrink wrap, dry cleaner film, food storage bags and other similar types of plastic bags. The change came in response to a growing glut of plastics at recycling plants in the U.S. and around the world. China also announced late last year that it would no longer take plastics and recycled materials from other countries. County officials and the district board approved the purchase of the reusable bags earlier this week. The bags will be made from 100 percent recycled plastic material. McGlasson said Friday he anticipates ordering the bags next week. He said it could take 30-60 days until they arrive. In the meantime, McGlasson said the district will develop a plan to notify the public about the bags and how they will be distributed. Not everyone likes the idea of county officials buying reusable bags with taxpayer dollars. Bloomington resident Scott Wells urged officials to work with other companies to accept plastics rather than waste taxpayer money by buying reusable bags in hopes of changing people’s habits. He said there are businesses willing to take plastic bags, such as Kroger. McGlasson said the district has not been able find another source to take the district’s plastic materials, but hopes to find one. Larry Barker, McGlasson’s predecessor as the waste district’s director, challenged McGlasson’s efforts to find alternate vendors at a district meeting on Thursday. Barker said he has contacted representatives of two companies that recycle plastics. He said both are interested in accepting Monroe County’s plastic bags. The two companies are: Trex, a composite decking company that takes unwanted recyclable plastics to create outdoor products, and Novolex, which has facilities in Indiana and is one of the largest plastic bag recycling firms in the nation. McGlasson said he has contacted Novolex but has not heard back. He said Trex is interested in grocery store bags not other plastic films, such as trash bags, that are co-mingled with the district’s materials. McGlasson said the district does not have the ability to sort the materials. Isabel Piedmont-Smith, a member of the city council and the district board, said if outside companies would take certain types of plastic bags, she would like to see the district collect them. Kenny Depasse, government affairs representative with Republic Services, told The Herald-Times for an earlier story that plastic bags it has collected from Bloomington and other Indiana communities are being warehoused until end users can be found. While the city and district have the same vendor for plastic bag recycling, the city has not stopped sending its material to Republic Services.